MainStreet has made such a huge impact on my life since I’ve been participating the last 2 years. We are a close knit community that strives to live life as Jesus taught. Pastor Jeremy is really a shepherd in the true Christian sense. With transparency, a strong faith, and the ability to guide others to expand their impact by living for Christ – in ways they never dreamed of. Being part of, and facilitating a Huddle, has stretched my idea of what I’m capable of. I find I’m serving more within MainStreet and serving more for Christ in my daily life. 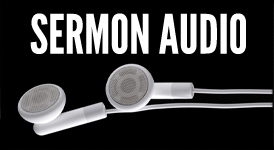 Jeremy’s sermons challenge me to respond. To take action. To make changes. To be intentional. This is not your “normal church” — it is a whole new way of living!